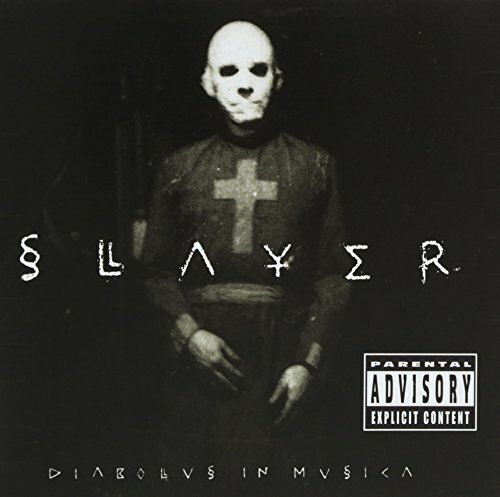 The first image on the page is for Slayer - Diabolus in Musica, followed by the original. Also check out the most recent parody covers submitted to the site. You need to change the cross to a crescent! And he needs... you know... a more grey-scalish face. And some softening to make it look like his head is actually on that body. Do you have one for Kerry? BTW-What ever happened to Osama? No, I don't think he does. Osoma is the bad guy here. Osama is not the bad guy to liberals, that is Bush - they are just a bit twisted, you must forgive them. If Osama were the bad guy to Conservatives then why haven't we gotten him? Afterall, it's been more than five years. He's seven feet tall, carries a cell phone, and walks the dessert in a white sheet - how hard can he be to find. Perhaps you fascists don't want to find him so that you can continue with your war machine = good luck with that.